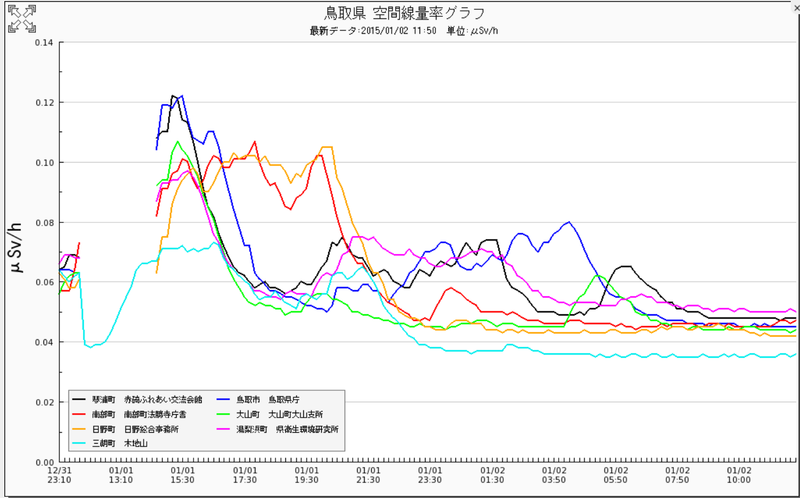 Bo at ENENEWS pointed out surging radiation, I screen capped some of the results. 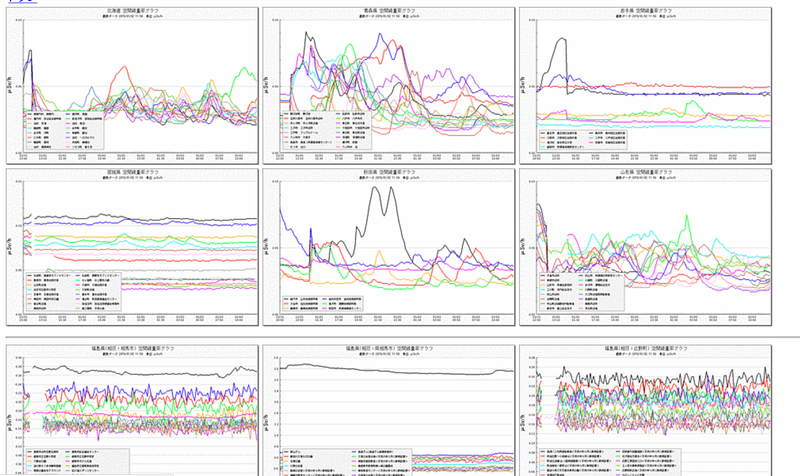 Keep in mind, these are charts of various energy ranges, so the net dose is not just reader the highest values of the largest range, but the dose is the sum of all the ranges. The first chart there is Shimane prefecture https://db.tt/UONd9Ijd Second chart is Tottori - and that prefecture is located to the East of Shimane prefecture facing the ocean and China. 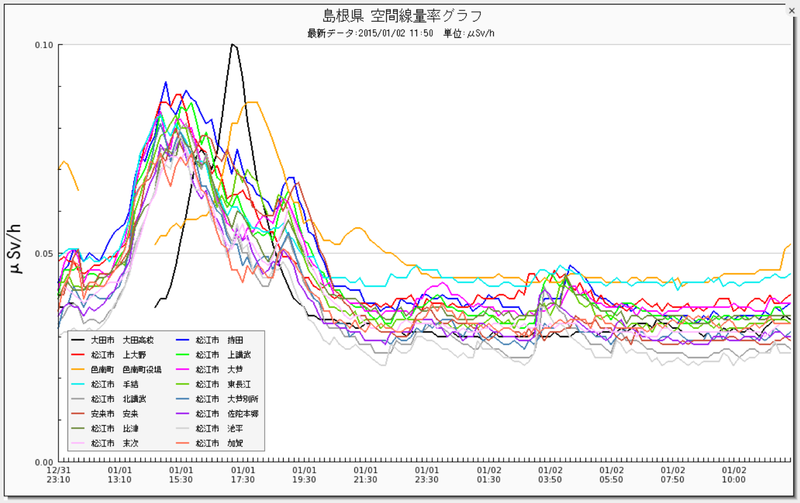 Niigata surged too.